What is a typical tip for the guides? What kinds of people are on the trip? Family River Rafting Trips: You enable others to enjoy, appreciate and respect the river environment. A Few of our Favoite Things… About River Rafting Trips – The Guides! A Few of Our Favorite Things…About River Rafting Trips – Rapids! Cataract Canyon Trip Review: Our most spectacular Cataract Trip! Main Salmon Rafting Trip Review: Wonderful guides! White Rim Trail Trip Review: They kept the group positive and laughing! Green River Lodore Canyon Trip Review: This trip was over the top! Where & When Do You Go to the Bathroom on a River Trip? River Currents Blog: Why Wilderness? Friday Feedback: Dave (Great Blue Heron), Zack (Collared Lizard) and Justin (Dog) were proficient, professional and fun to be with. Top Five Reasons Why a Low Water Year is a Great Year to Go Rafting! Top Five Reasons to Embrace the Idea of Camping on a Rafting Trip! What do River Guides do in the Winter? Family Rafting: One Of The Top 2 Vacations We’ve Ever Taken! Cataract Canyon Whitewater Rafting Trip Review: The Majesty Of Canyonlands! Cataract Canyon Rafting Trip Review: Had A Blast Swimming & Kayaking! 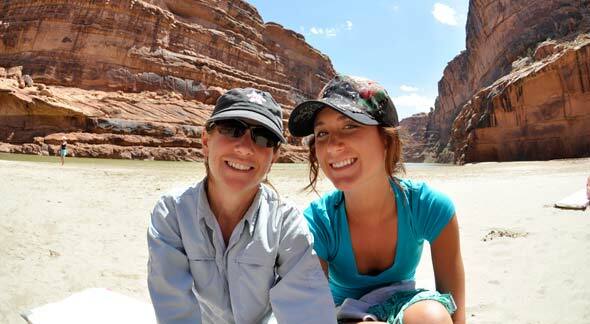 Cataract Canyon Trip Review: Fun Hikes! Who Wants to Play in the Doll House? Young KINGs of Climate: How “Keep It in the Ground” is shaping the environmental movement. Main Salmon River Trip Review: The “Duckies” Are So Fun! Cataract Canyon Rafting Trip Review: Big Water and Huge Fun! Cataract River Rafting Trip: Best trip I’ve ever taken! Multi-day White Water Rafting Trips – Fun for Everyone! Westwater Canyon Trip Review: A Job Well Done, Holiday! 6 Tips for your first whitewater rafting trip! Westwater Canyon Trip Review: We Were Really Able To Get Away From It All!! Westwater Canyon Whitewater Rafting Trip Review: I Raved About This Trip! Westwater Canyon Whitewater Rafting Trip Review: Never A Dull Moment! Westwater Canyon Trip Review: Thank You To The Guides! Yampa River Trip Review: Adrenaline Seekers: Exhausted and Satisfied! Zoroaster, Nautiloid, Hermit and Sockdolager… names from Sci-Fi? Women-Only River Rafting or Mountain Biking Trip: Five Great Reasons to Go! Sewing Kit Chock Full of a Few Silly Rules! Yampa River Whitewater Rafting Trip Review: Thanks From Hawaii! Lodore Canyon Trip Review: Wish The Trip Didn’t Have To End! Lodore Canyon Trip Review: I Traveled A Long Distance & This Trip Was Worth It! Yampa Bench/Yampa River Trip Review: Incredible Biking, Rafting & Food! Lodore Canyon Trip Review: Your Guides were Great Role Models! Yampa River Whitewater Rafting Trip Review: Float With Holiday! San Juan River Trip Review: A First Time Experience! Bighorn Sheep, How do they survive on that?